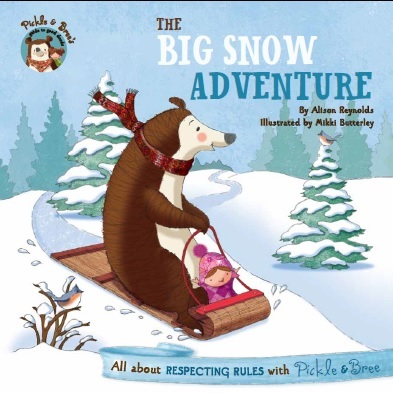 I am thrilled to announce my friends Pickle and Bree are back in two more fun adventures! Pickle and Bree are off for a holiday in the snow! Bree can’t wait to try skiing, and Pickle is excited about snowboarding – but Pickle and Bree are so enthusiastic that they forget they’re sharing the space with their friends. Will Pickle and Bree figure out how to have fun while making sure their friends have fun too.? They have to learn how respecting rules means everyone can have fun. Pickle and Bree are spending a day outdoors with their good friend, Jason. They’re excited to explore the playground, and are even more excited about making some new friends – until they meet two little bears who are not very friendly at all! 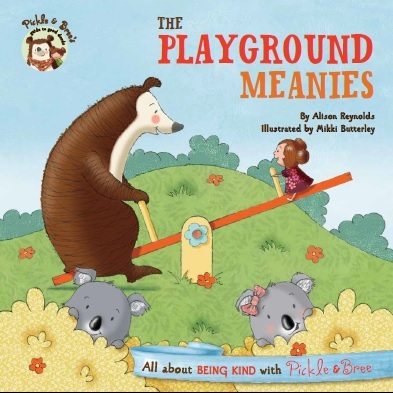 How will Pickle and Bree deal with the playground bullies? Two great new titles in the very popular series which gently teaches children the skills needed to successfully manage relationships, social etiquette and positive behavior in a gentle fun way. Simple, humorous narratives allow plenty of room for discussion between adults and young readers. Beautifully illustrated with personable characters that children will connect with. These are much more than lesson’ books―they are delightfully engaging stories that children will want to revisit again and again. Includes a Handy Guide to Good Deeds at the back of each book. Published by The Five Mile Press and available now at local and online bookstores.